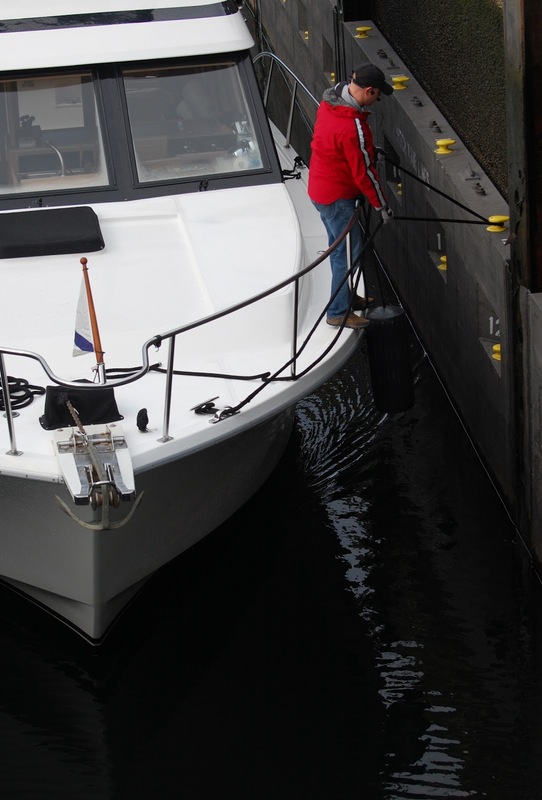 This boat is temporarily mooring to the floating lock wall at the Chittenden Locks. He's headed up to Lake Washington, and was the only vessel through the lock in that opening; there's not much traffic through here in the winter months. Cormorants were diving around the bottom of the fish ladder looking for a meal. The resident harbor seals weren't around, probably because the adult salmon are scarce at this time of year.